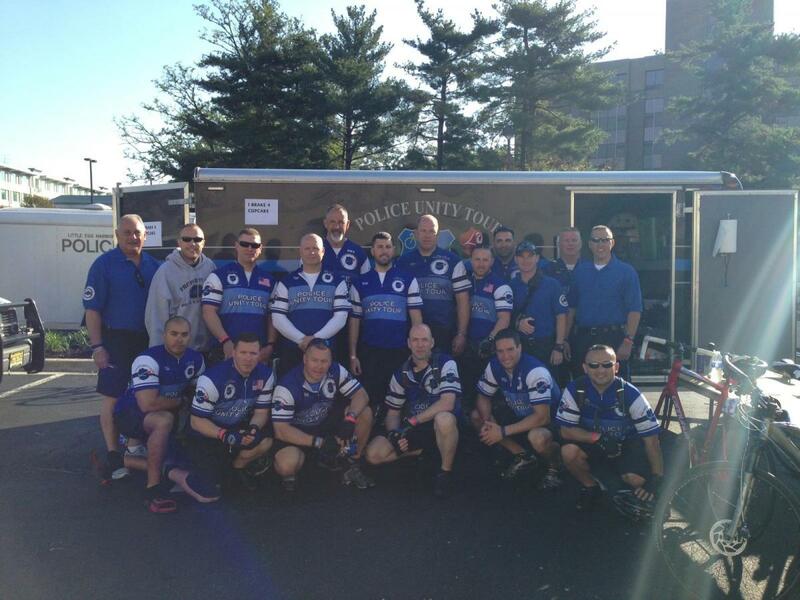 Thank you for your support of the Police Unity Tour and Chapter X. 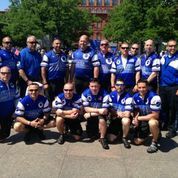 All of the money raised through Firstgiving will help the 20+ police officers from Marlboro Township Police and Freehold Boro Police participate in the Police Unity Tour. Each rider is responsible for raising over $1,800 to participate in this ride. This is a four day bicycle ride to Washington DC to help honor those officers that have died in the line of duty. Our motto is "We Ride for Those Who DIed." On behalf of all the Marlboro Police Department, we would like to sincerely thank everyone who has donated, assisted or dedicated their time to support us in honoring our fallen officers who have given the ultimate sacrifice to their profession while in the line of duty. To the families of all the fallen officers, we ride for you, and dedicate ourselves in all of your names when riding in the Police Unity Tour. 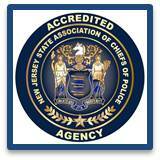 This is a four day bicycle ride that commences in New Jersey and concludes in Washington DC at the National Law Enforcement Officers Memorial located in Judiciary Square. This memorial honors those Police Officers who have been killed in the line of duty and have given the ultimate sacrifice to their profession. This ride also raises money to directly benefit the families of Monmouth County and New Jersey officers who mean so much to all those who have served in law enforcement. Chapter II starts each year by completing a memorial ride in honor of a fallen brother or sister. 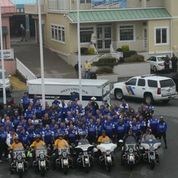 In 2010 we continued that tradition by riding from Mays Landing to Atlantic City to honor all of their fallen officers. Honoring Ptl. Christopher Reeves-Milleville P.D. They "ride for those who died." In 1997, the first Police Unity Tour was organized to bring awareness to officers killed in the line of duty. 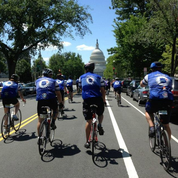 That year 18 bicyclists set out on a four-day ride from Florham Park, New Jersey to Washington D.C. raising $18,000. Since then, thousands have participated in the annual tour, raising a total of $15 million. That money has gone toward helping to support families of officers that have given the ulitmate sacrifice and the national law enforcement police officers memorial. Our gratitude to WPIX-TV (PIX11) for the opportunity to speak on the Police Unity Tour.